No matter if you own the Pip-Boy 2000 Mk VI or not, these Holotape Mini Kits are not only a great collectible, but make a nice little gift for Fallout fans as well. 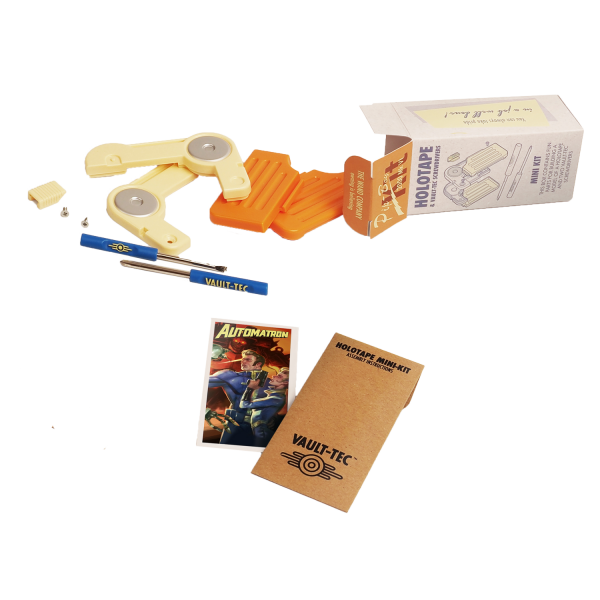 Each kit contains the Holotape housing components, screws, 2 Vault-Tec Screwdrivers and a sealed Vault-Tec envelope containing one of 10 different Pip-Boy 8-bit game cards. Manufactured by The Wand Company.